The CyberLaw Group was formed to fill a growing gap. As society moves further into the Information Age, much of the legal profession remains mired in the 18th Century. A group of tech-savvy attorneys recognized the opportunity to leverage their expertise developed with the Federal government to provide services to clients facing the pressing issues of our day who are in need of modern solutions. Abraham serving as a Judge for the Atlantic Council's Cyber 9/12 Challenge. Abraham transitioned to the law after serving as a senior executive level civilian official in the Department of Defense, Department of Homeland Security, and Office of the Director of National Intelligence. He has over 30 years of experience specializing in national security, homeland security, cyber security, and intelligence. Abraham retired from federal service as Associate Director of Intelligence for United States Cyber Command, where he ran analytic efforts to characterize cyber threats within the epicenter of our nation’s cyber infrastructure. He has been one of the thought-leaders in the field of cyber warfare since the late 1990's and was recognized by the Central Intelligence Agency with the National Intelligence Medal of Achievement for his groundbreaking work. 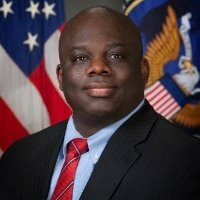 In the aftermath of the 9/11 attacks, Abraham helped stand-up the Department of Homeland Security, where he worked closely with the Federal Bureau of Investigation to strengthen linkages between the Intelligence Community, the Private Sector, and State and Local Law Enforcement authorities. Abraham is a retired Air Force Reserve Lieutenant Colonel who completed combat zone deployments during Operation Desert Storm and in Mogadishu, Somalia. He lived abroad for eight years and traveled to over 50 countries. Abraham has been trained in Mediation and Arbitration locally and internationally. He has completed executive leadership programs at the Harvard Kennedy School and the Kellogg School of Management. He was a founding member of the Cyber Conflict Studies Association and taught an undergraduate level course in Cyber Warfare for five years as an Adjunct Professor for American Public University. Glyn is an experienced technical cybersecurity engineer and was salutatorian graduate of the University of Maryland Carey School of Law. In addition to his J.D., he has a M.S. in Electrical and Computer Engineering from The Johns Hopkins University, is a licensed Professional Engineer, Certified Systems Engineer, and Project Management Professional. Glyn is a Certified Information Systems Security Professional (CISSP), one of the most recognized cybersecurity certifications, and he has a Certificate in Cyber and Crisis Management. In addition to being admitted to the Maryland Bar, Glyn is a Patent Attorney that can represent clients in front of the United States Patent and Trademark Office (USPTO) and provide support in a variety of Intellectual Property matters. Stevens is the publisher of the “Privacy Legion” Newsletter and the Senior Privacy Consultant for a multinational company. He is a certified International Association of Privacy Professionals (IAPP) Privacy Officer, an IAPP Fellow of Information Privacy, a current member of the IAPP Privacy Faculty and Co-Chair of IAPP's Baltimore KnowledgeNet Chapter. Stevens is an 20+ year Army veteran with a breadth of experience in the federal government including senior positions in the Transportation Security Administration, the Federal Air Marshal Service, the Federal Bureau of Investigation, the Department of Homeland Security, the National Security Agency, and the Office of the Director of National Intelligence. Chris has a Masters Degrees in Strategic Intelligence, Information Resource Management, Transportation Security, and Business Administration and has taught for the University of Maryland, American Military University, and Hagerstown Community College. He is completing the Loyola University-Chicago Certificate in Privacy Law program.